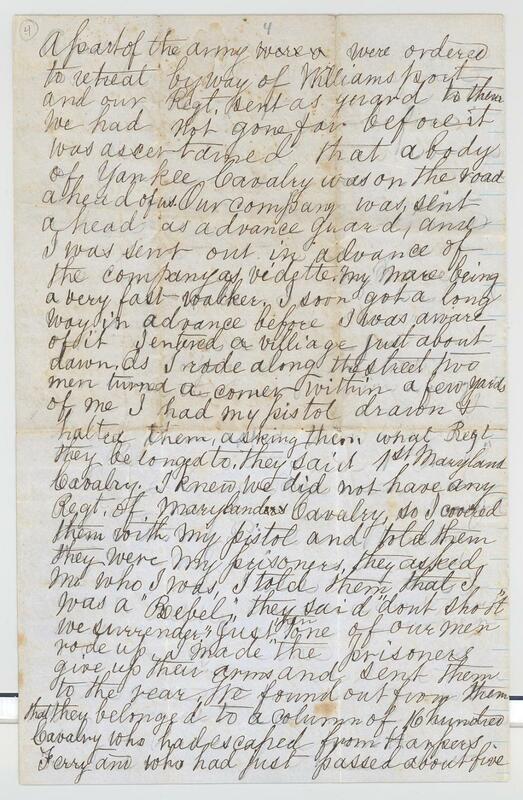 Item description: This letter, dated 9 October 1862, was written by James Munnerlyn to his sister, Mrs. D. S. Stocking of Charleston, S.C. Munnerlyn describes a battle with Union cavalry in the town of Frederick, Maryland. 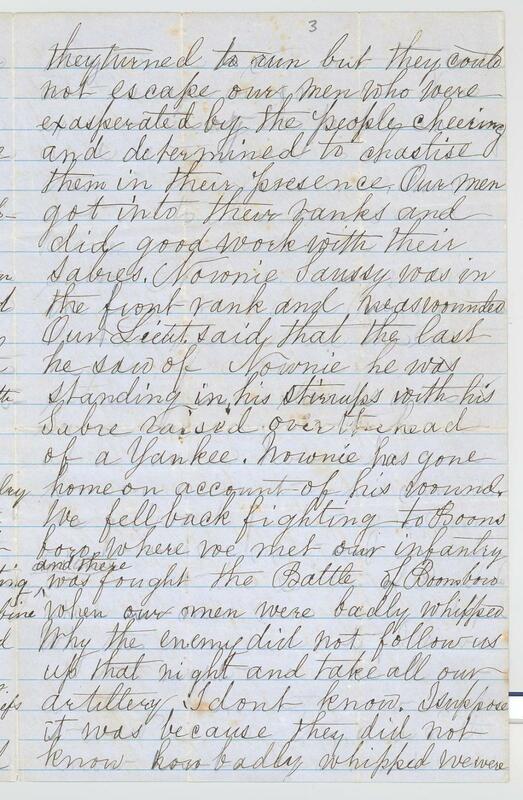 The townspeople had been cheering the Union troops and Stuart’s men were intent on “chastising” the Union cavalry in front of their supporters. James Keen Munnerlyn, Jr., was born in Georgetown, S.C., in 1840. He served, 1860-1862, in the Palmetto Guard, 2nd South Carolina Regiment, and sometime between 15 July 1862 and 8 September 1862, he was transferred to the Georgia Hussars, Jeff Davis Legion, Stuart’s Cavalry, Army of Northern Virginia. Munnerlyn died in 1922. Item citation: From the James Keen Munnerlyn Papers #2790-z, Southern Historical Collection, Wilson Library, University of North Carolina at Chapel Hill. 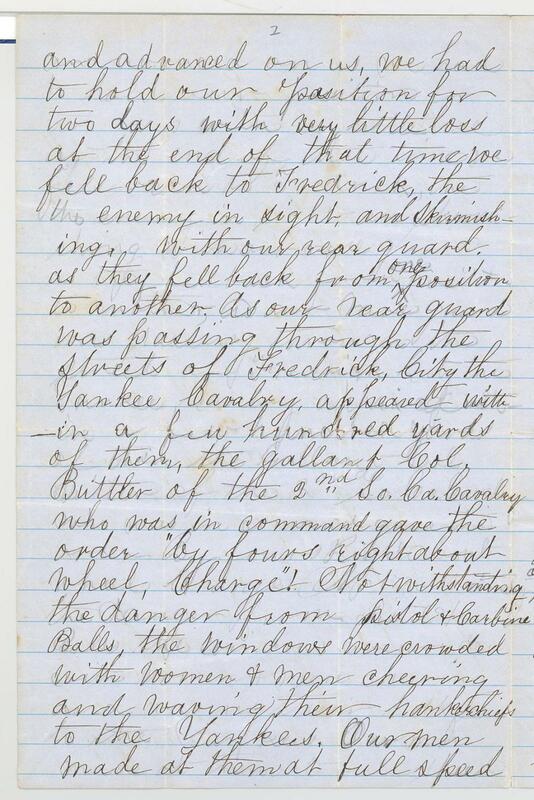 This entry was posted in Southern Historical Collection and tagged cavalry, Frederick, Georgia Hussars, J.E.B. 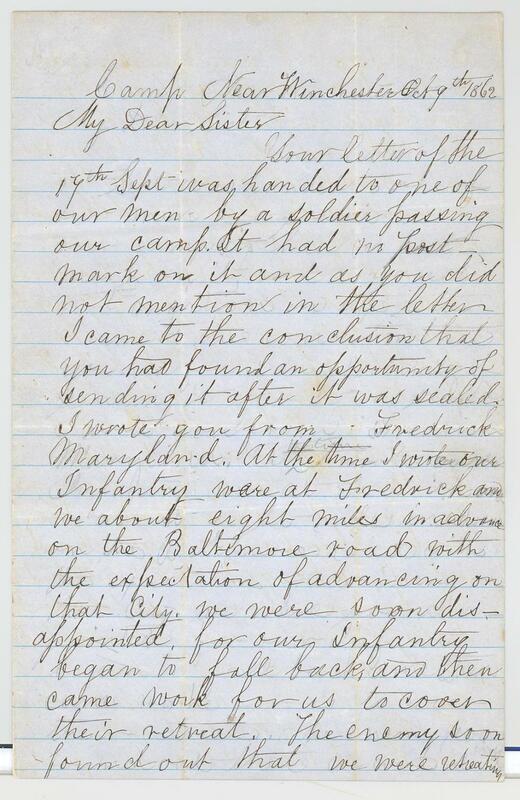 Stuart, James Munnerlyn, Jeb Stuart, Maryland, South Carolina. Bookmark the permalink.